To add a hint of nature to your dorm room, add this college decor essential Black Tree Branches - Peel N Stick Dorm Decor to your college necessities dorm check list. 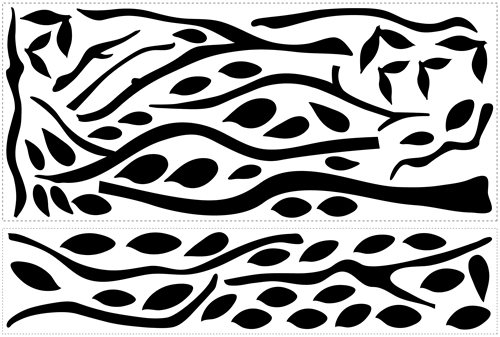 This Black Tree Branches - Peel N Stick Dorm Decor shows us the dark silhouette of a tree's trunk, slender branches, and care-free leaves. This Black Tree Branches - Peel N Stick Dorm Decor looks great in the corner of your college dorm room, or between dorm furniture pieces. 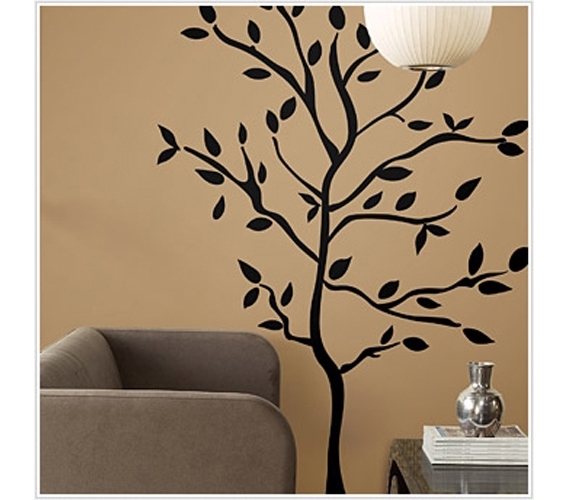 College dorm decorations like this Black Tree Branches - Peel N Stick Dorm Decor make any dorm room look more spacious and interesting. When you just need cool dorm room stuff to accent your college dorm look, Peel N' Stick products make great additions to your college decor collection. This Black Tree Branches - Peel N Stick Dorm Decor leaves no mess and comes off as easily as it goes on.